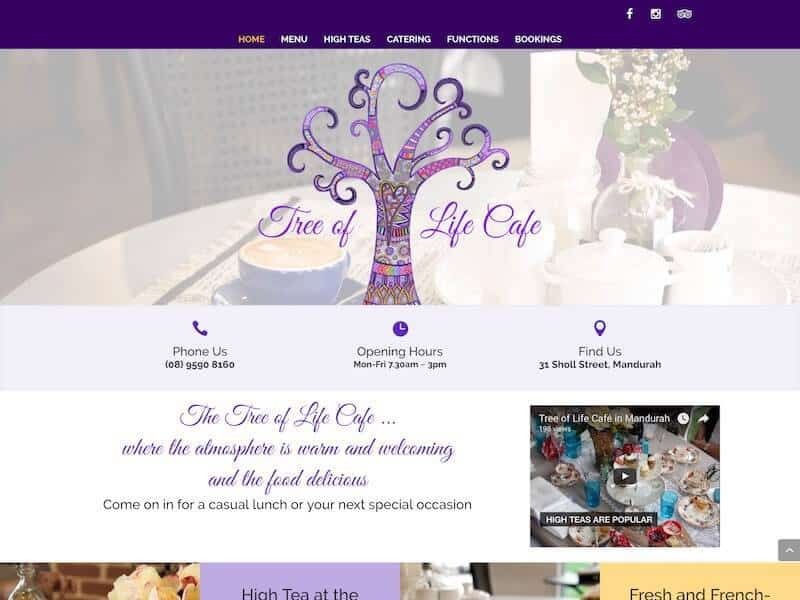 The Tree of Life Cafe was opened in Sholl Street, Mandurah, in May 2015. 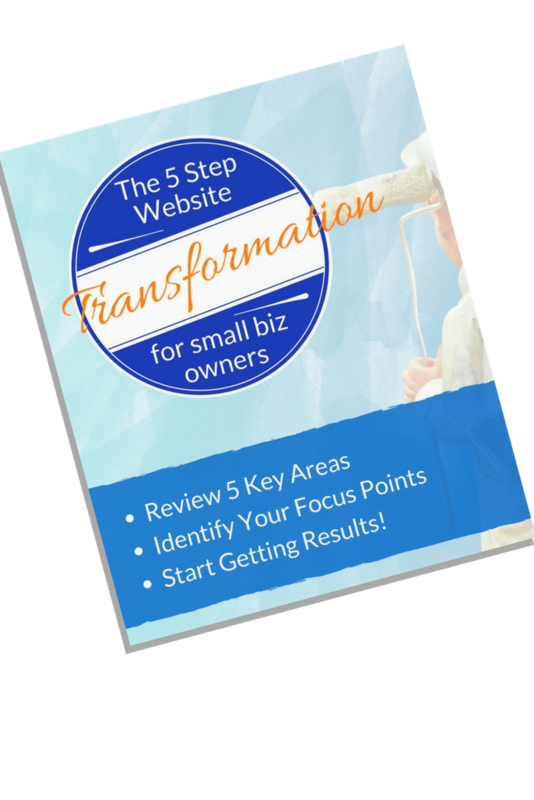 The website was redesigned to be user-friendly and easy to navigate, with information about the seasonal menu as well as functions and catering. 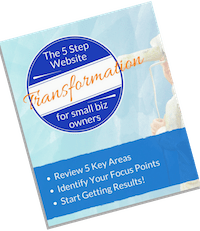 The mobile-friendly design allows visitors to easily find the most important information such as a clickable phone number and location map, as well as opening hours. 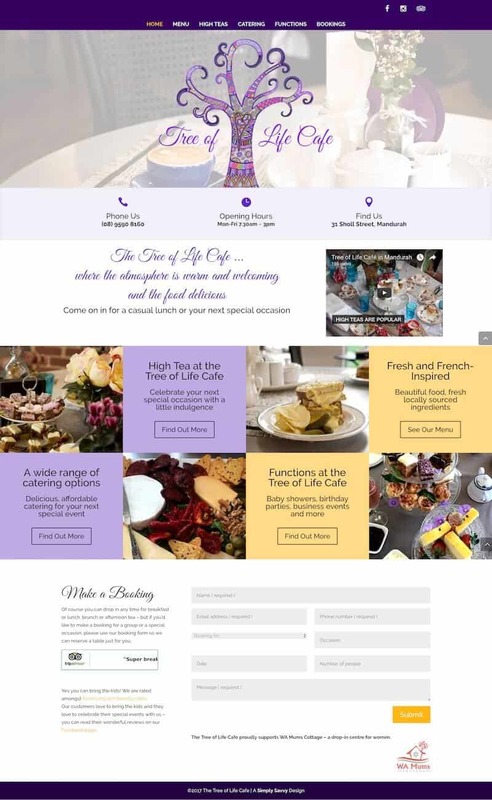 An online booking form provides another option for customers to make enquiries and bookings for functions, catering and specialty high teas.